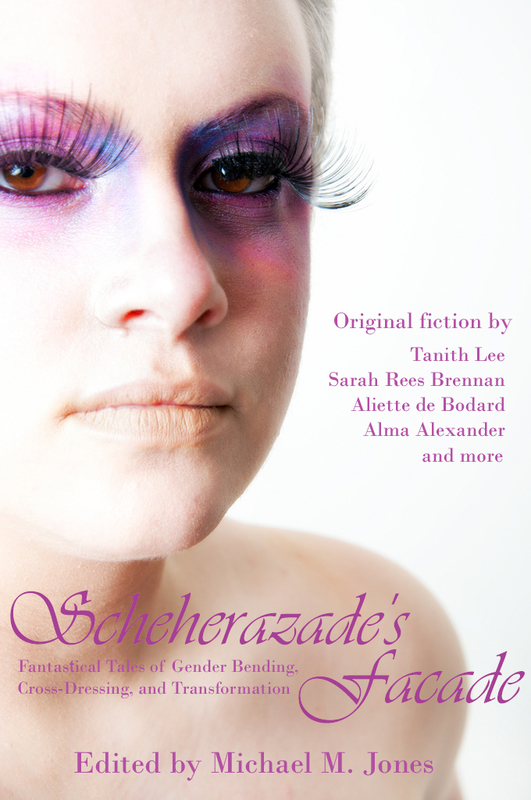 So here we are, exactly one week since the Scheherazade’s Facade Kickstarter Campaign launch, and we are doing spectacularly. $4158 of $5000. 83% with 148 backers and 23 days to go. And all I can say is WOW. The goal is practically in sight, and I am thrilled with everyone. I know we’re going to reach the goal, and I couldn’t be happier. Thank you again to everyone who’s pledged or spread the word. I and the authors appreciate it. Keep it up, and don’t think that if we hit that goal we’ll slack off. I’m really hoping this book will reach a wide audience of fantasy lovers everywhere. And there you go. Five tiny tastes of things to come. You don’t know how much I’m looking forward to sharing the full stories with the world. It was hard finding good excerpts that evoked the story’s magic without giving away anything juicy, you know. Especially since I keep getting distracted re-reading the stories, even as I take care of all the last minute formatting and editing that OF COURSE crept on me now. So anyway, keep up the good work and stay tuned for further announcements. Are you subscribed to Daily SF? Melissa Mead had a wonderful story in that this morning, as well.